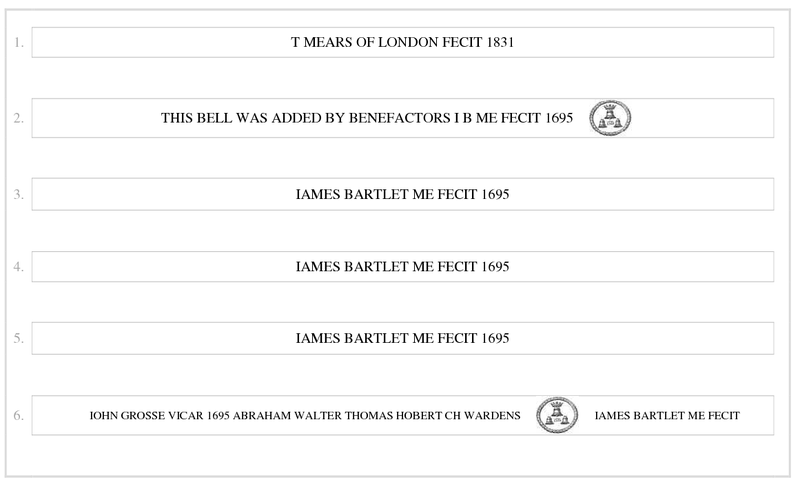 1695 5 bells cast by James Bartlett. 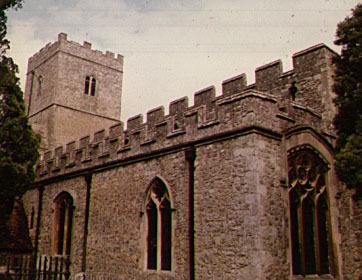 1831 Treble added by Thomas Mears to make 6, and the old Sanctus bell which used to hang at the top of the tower was removed. 1966 Bells tuned and rehung in a new frame for 8 by Whitechapel.